When I first met John Lindo in Budapest - I wondered how is the life of a professional dancer. 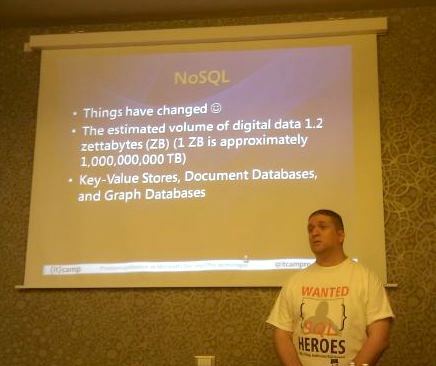 I had an idea that it involves a lot of traveling and not enough sleep :) I am not a professional dancer but recently, being in Cluj Napoca to deliver a presentation at an IT event - IT Camp 2011, I also did a West Coast Swing workshop. And guess what, I had a taste of a dancer's life. For me it was, waking up early - to solve the business tasks. After that I met Dina,the local teacher from Cluj to sketch the workshops content. We also selected a song for a small demo. "The James Cotton Band - How long can a fool go wrong" seemed to be perfect for us - the instrumental version is just 2 minutes long and it is very dynamic. We put together a small choreography but later, when we actually danced, we gave up the choreo and just improvised. This happened on Wednesday. The next day, Thursday, was 50% dedicated to reviewing my demos and presentation (the main reason for me to be in Cluj was a technical presentation at the IT Camp event), 25% was spent with Dina, practicing and discussing and the day ended at 1:00 AM after a dinner in a restaurant (a dinner with the organizers and the other speakers of IT Camp). Friday was kind of crazy, I woke up at 6:00 AM after going to bed at 2:00 AM. I finished my demos and after a quick breakfast - I had my presentation. SQL Server Code Name "Denali"
It went pretty good. A little while after that I met Dina again to finish the workshops - then in the evening - the first workshop started. 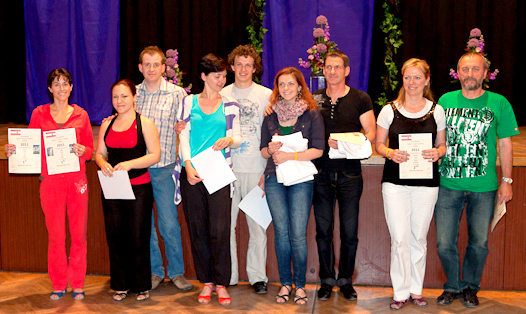 It was about West Coast Swing fundamentals: connection, leading, anchor, foot positions, basic rhythms etc. In the second one I covered musicality topics: downbeat/upbeat, sets of 8, measure, minor/major phrase and of course rolling count. Then back to the hotel, quick shower, and then hurry in the hotel lobby to wait for Dina and a friend of her to pick me up for a party. It was a Salsa party but they put several contemporary songs and thus our group had the chance to dance WCS. Later that night - at about 2am - we got the chance to do our little demo. I guess I was too tired because after 16 beats of music I gave up on the choreo and started to improvise :) It partially worked. At 4am in the morning I was going to sleep. Saturaday, 7am up again. Breakfast, packed my bags, check out and the first worshop of the day - The Universal Unit System of Skippy Blair. After that to give everyone a chance to actually dance, we did the WCS Flashmob choreography in the second workshop of the day. Somewhere at noon, we actually did the Flashmob. It was chaotic but a lot of fun. Next, we went to a park, had a late lunch and then I left to the airport.